This is a SBR built with a bunch of LaRue tactical parts. Maybe it's one of their custom shop guns. 2009 4-door JK - 85% daily driver, 15% hunting vehicle, 100% fun! It's better to be prepared, than scared. Mailman by day, Gun Nut by night. 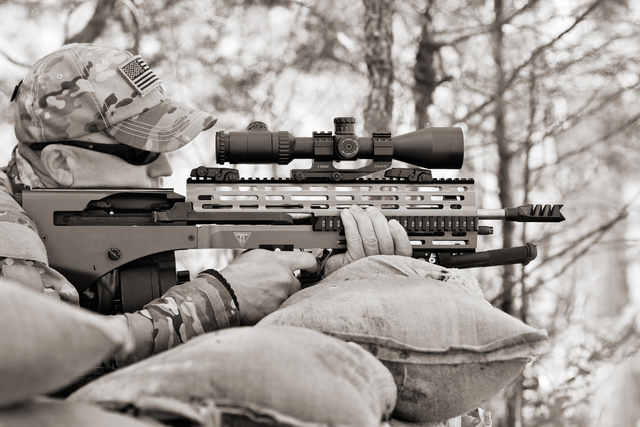 NRA Certified Instructor - 5 disciplines. if I could, I would like this picture a million times... outstanding. That's a Springfield M1A scout rifle in .308win. 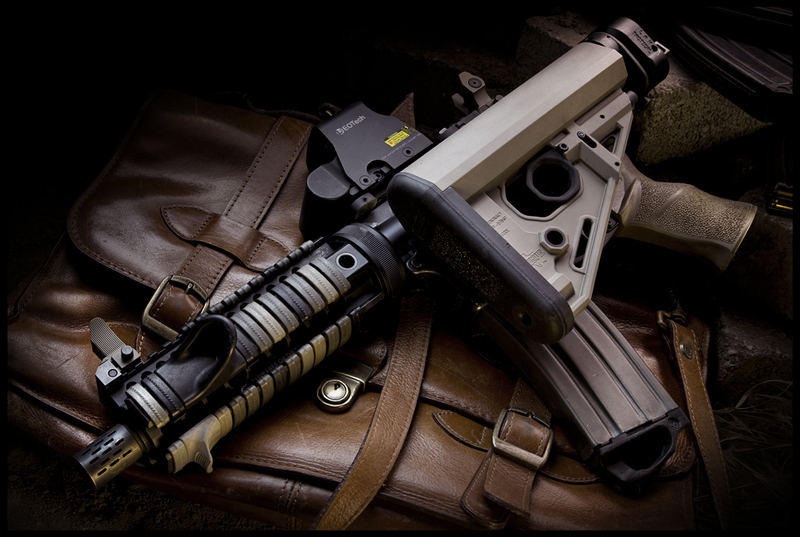 It's been rehoused with a Juggernaut Tactical Rogue bullpup stock/chassis. The flash hider is a Juggernaut Tactical "Juggerbrake". Sitting pretty on top is a Weaver 2.5-10x scope, and an Atlas Bipod (same as on my Armalite SuperSASS). The backup sights are Magpul MBUS Gen 2. The magazine is a X Products XS-25, 50rnd drum magazine. Company was formerly called XS Products, but changed their name because XS Sights Systems got pissed at them. Strangely, they also make one for the Armalite AR-10 platform and not the SR-25 platform that is commonly used in .308win AR-style rifles. That's Chris' great grandfather's revolver. LOL. No, seriously. I'm a bit stumped with this one. 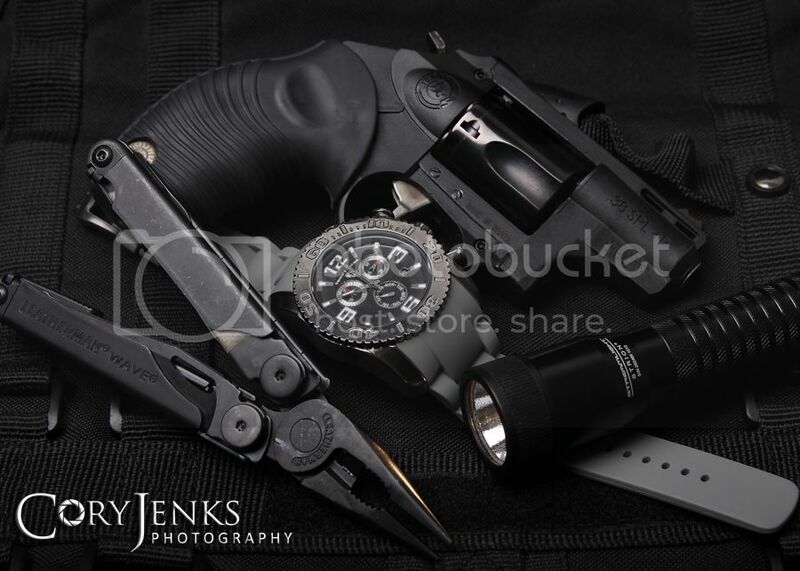 It looks like a Colt New Service revolver. If this is then, Chris, you should go get it appraised. It may be worth a LOT of money, depending on caliber, condition, and vintage.